This article is written to help you to unlock your iPod Touch without knowing the password/passcode. Please note that there is no way to unlock iPod Touch without iTunes/Computer. Your iPod Touch will lock itself when you have entered the incorrect lock screen code too many times. Each time that you enter a passcode wrong for more than several attempts, the iPod Touch will lock itself for an even longer period of time. Some people have reported having the phone tell them to wait 4+ years before it can be unlocked.You will need to connect your iPod Touch to a computer and unlock your iPod Touch by resetting it. Many iOS device users especially ones using iPod touch are saddened when their iPod touch is disabled after many entries of the wrong passcode. If you forget the passcode of your iPod touch or your iPod touch has been disabled, you don’t have to be saddened because there is an easy way out. iMyFone LockWiper is the easy way out when your iPod touch is locked or disabled. 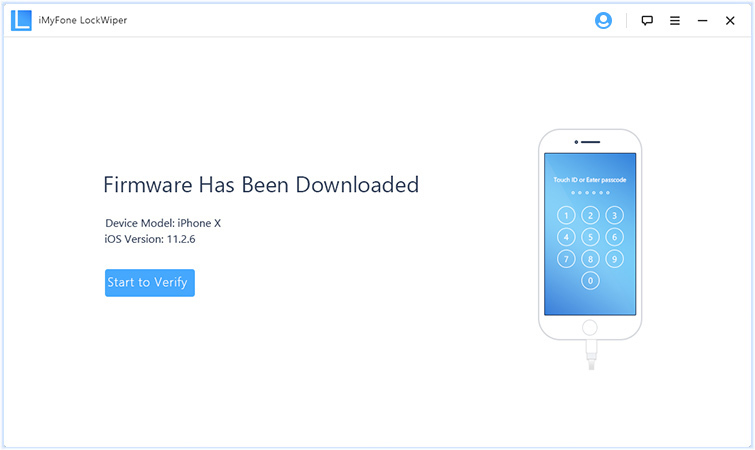 This iOS device unlocking-tool has the capacity to fix and unlock all models of iPod, iPad or iPhone. It’s more efficient is opening locked iPhone than recovery mode, iCloud or other methods. Try this app free of charge now to regain access to your iPod touch. iMyFone LockWiper can unlock your disabled iPod touch in just one click. This feature is called “One-click to unlock iPod touch without password”. Forgot password for your iCloud? Easily remove the existing iCloud account and sign in with a different one. Our Unlocking tool is compatible with the latest iPod, iPad, iPhone and other iOS 12 devices. 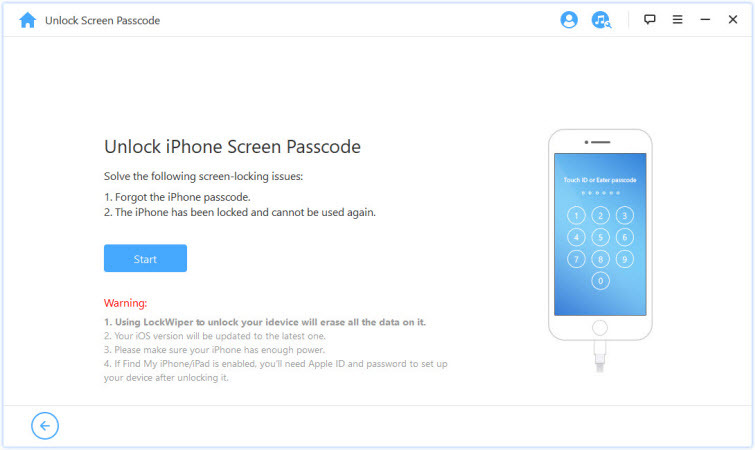 You can unlock 4-digit, 6-digit passcode, Touch ID, and Face ID locked iPod touch using iMyFone LockWiper. 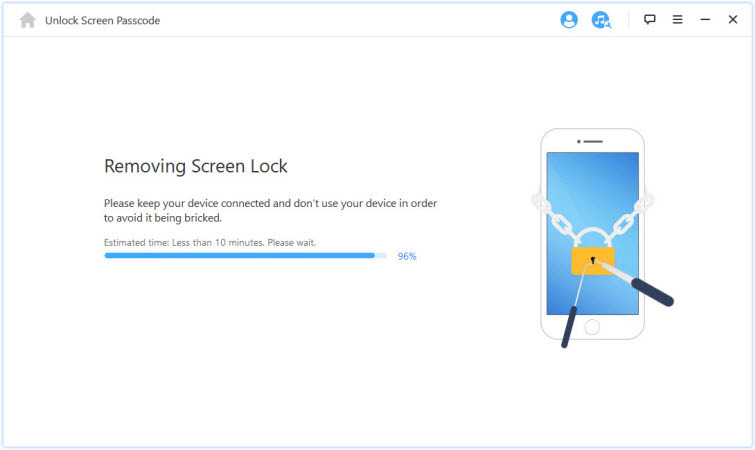 LockWiper supports unlocking of locked, disabled, broken screen iOS devices. Thousands of LockWiper users have rated it 5-star, which shows its high success rate. 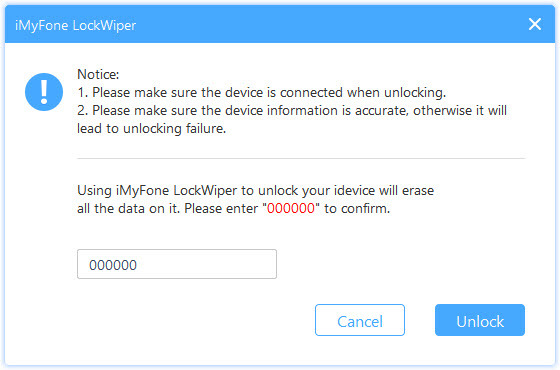 Step 1: First, download and launch iMyFone LockWiper on your PC. Choose “Start”. Step 3: To continue, boot your iPod touch in DFU mode. Follow the steps on the interface to do that. Step 4: Confirm your iPod touch device information. If the information is not correct, you can select the correct one from the drop-down menu. Then click on the “Download” button. 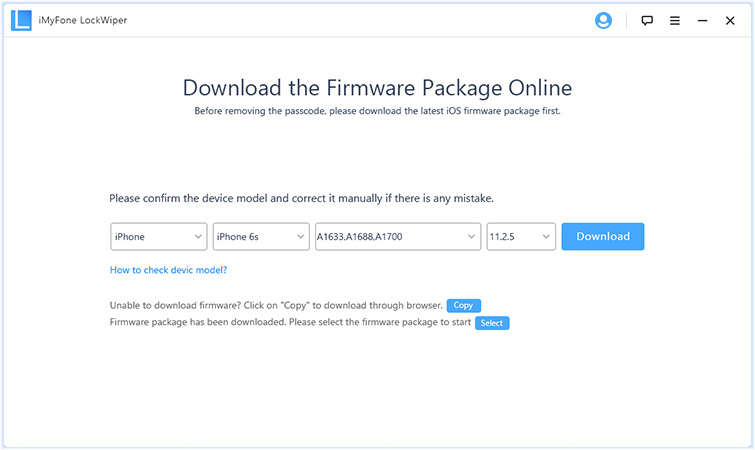 Step 5: After the download, click on “Start to Verify” to verify the firmware. Step 6: Then, just click on “Start Unlock”. 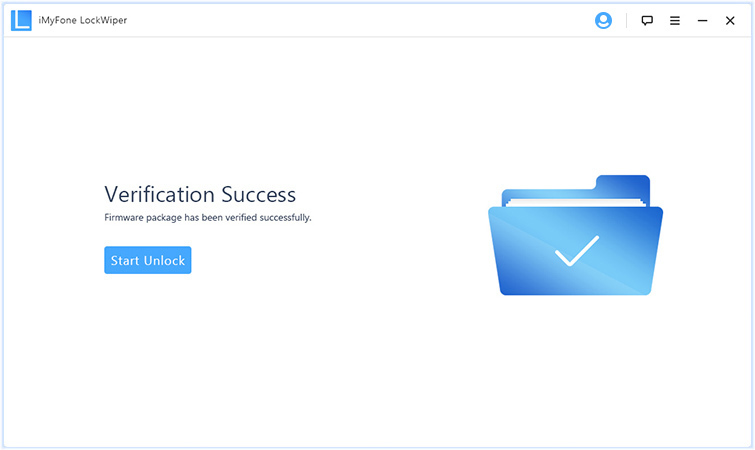 Step 7: Enter “000000” to double confirm unlocking, then click “Unlock”. Step 8: Within few minutes, your iPod Touch will be unlocked and you can use our phone without entering the passcode. 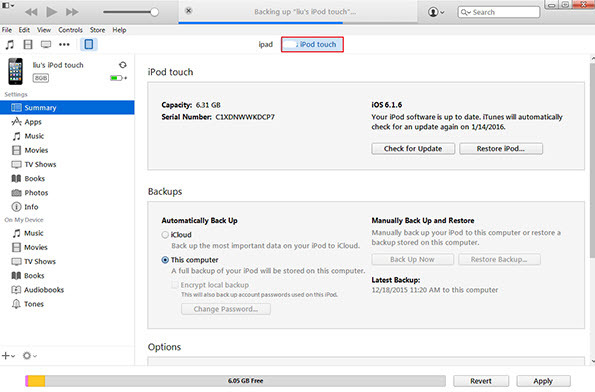 iTunes backup is capable of restoring your iPod Touch as long as you have previously backed the device up and you have previously marked the computer as trusted on the iPod Touch. This is done through iTunes. This might seem like the easiest way to unlock iPod Touch without passcode but it is also the one with the most requirements. Step 1: Go to the summary of your iPod Touch in iTunes. Step 2: You should see a Restore Backup option. Click that. 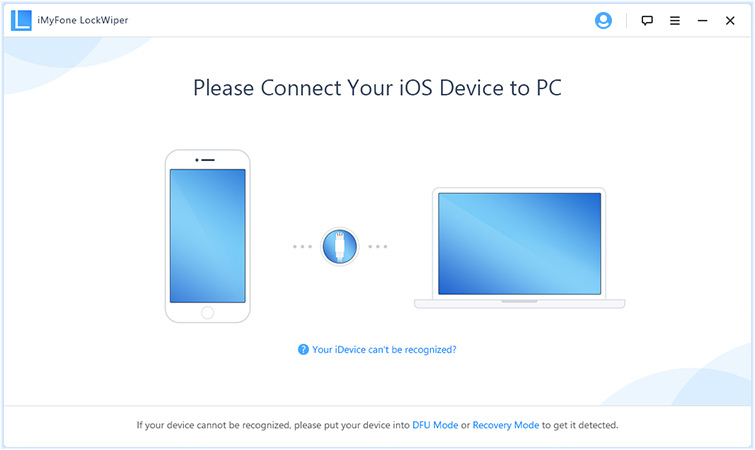 Step 3: A window will come up asking you to select the device backup you want to use for the restore. Select the proper one and click restore. Your device will restart and then start syncing the data back to the device. Let the process completely finish before you disconnect your iPod Touch. iTunes and your iPod Touch will notify you when the process is done. 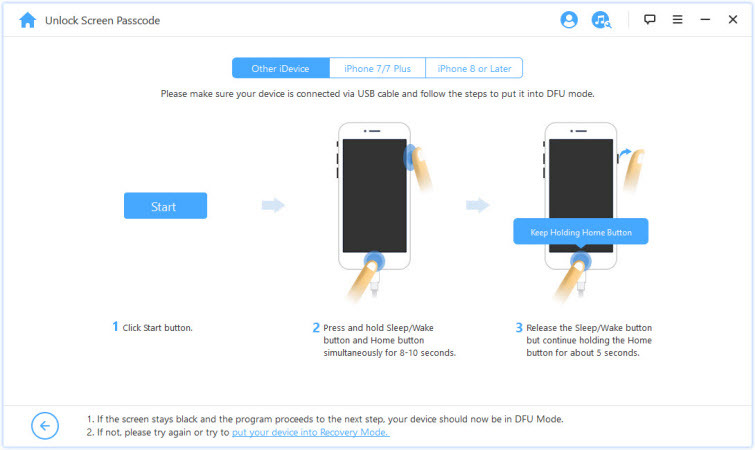 iDevices have a feature known as recovery mode that allows you to put your phone into a reset mode by using physical keys on the device. This will allow you to erase all data on the iPod Touch. In this way, you can unlock iPod Touch without password. Step 1: Connect your iPod Touch to your computer. Step 2: To start the process on an iPod Touch you will press and hold the home and top button at the same time until you see an iTunes icon on your iPod Touch along with the image of a power cable. 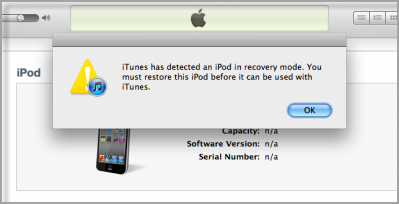 Step 3: iTunes should automatically detect a device in recovery mode. It will pull up a window stating there is a problem with your iPod Touch. Step 4: Click on OK. In general, the process should take less than 15 minutes. With the options above you will be able to unlock your iPod Touch and use it again.